Ornamental tinwork folk art originated in the mid-1800s in New Mexico. As an increasing number of food products shipped in tin cans arrived over the Santa Fe Trail, more materials were available to the area's tinsmiths. They used their skills on tins that once held such products as lard, kerosene, and oysters. The finished products were as unlimited as the creativity of the makers, from candle sconces to picture frames to mirrors to nichos and religious icons to children's toys. 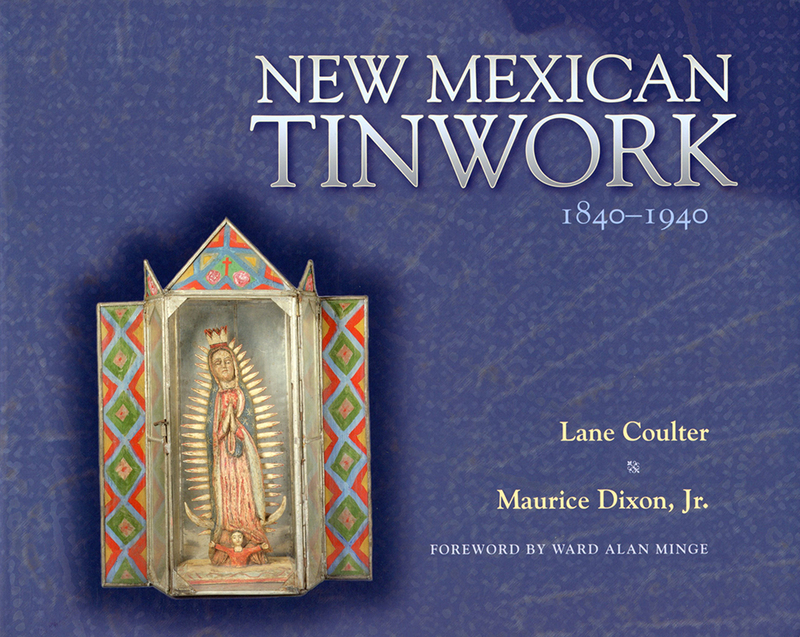 Lane Coulter and Maurice Dixon, Jr., begin with a brief history of New Mexican tinwork and quickly describe the tools and techniques used and how to determine the period in which older pieces were made. Maurice Dixon Jr. has an MFA and is a tinsmith himself. A resident of Santa Fe, he has a long-time association with galleries representing the regional folk arts of New Mexico. Lane Coulter has a masters degree in fine arts and is a metalsmith. He has held teaching positions at the University of Oklahoma and the Institute of American Indian Arts, Santa Fe. He is the editor of Navajo Saddle Blankets: Textiles to Ride in the American West.